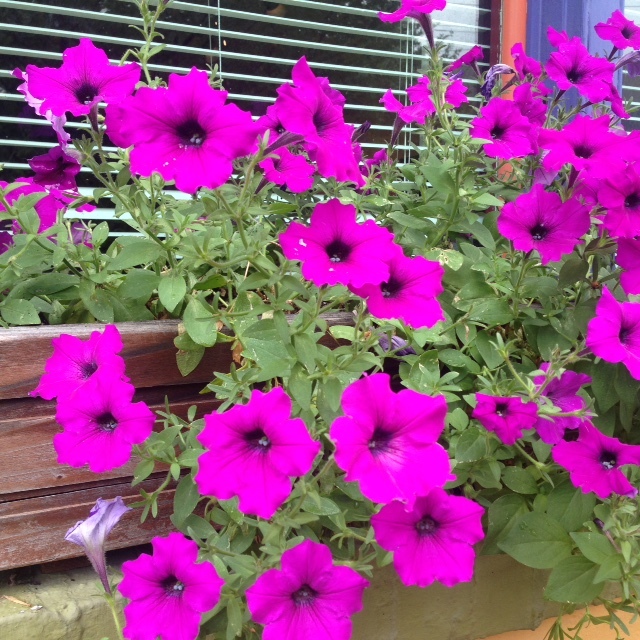 We put the petunias down on the benches when it rains so that they can get the natural moisture. They are such pretty flowers – I used to think they were weak frail little things, but they stand up incredibly well to city sidewalks. Often the gentlest things are really the strongest.